This is an improvement of the last example. 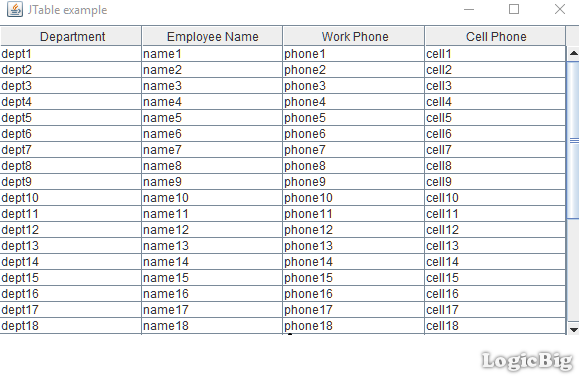 In the following example we will extend TableModel and map rows/columns based on JavaBean properties of the provided object and Java reflection. We will also use a new annotation DisplayAs that will be used to specify various column properties such as 'display name' and 'index'.